The B+ is still rather new, which means there aren’t that many cases available yet compared to the earlier models. 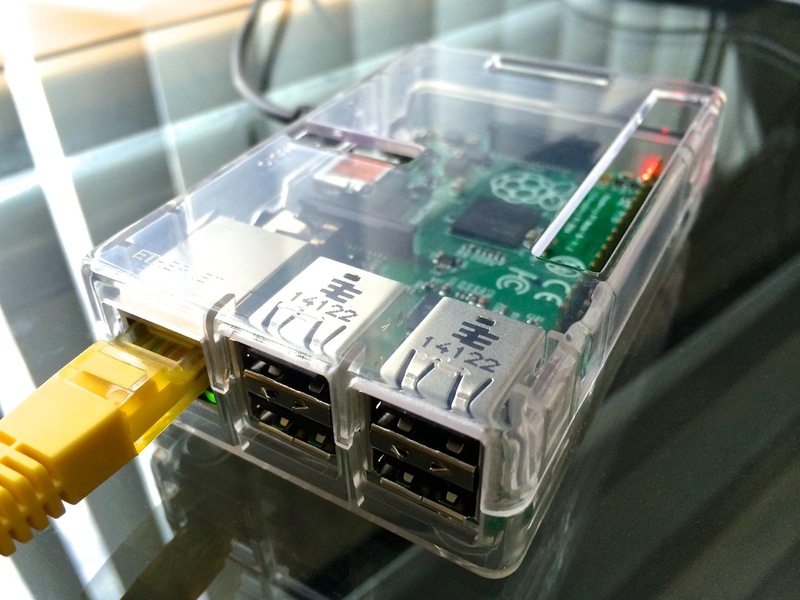 If you already have a case, it’s likely either a tasty but relatively expensive Pimoroni Pibow, or a cheap but less appealing Multicomp case. Either that, or you have a 3D printer and designed a fancy case yourself. I was actually waiting for the new Short Crust Plus, expected for mid-November 2014, until I came across this little gem on eBay. I received my case from China 15 days after ordering, securely packed in several layers of foam. 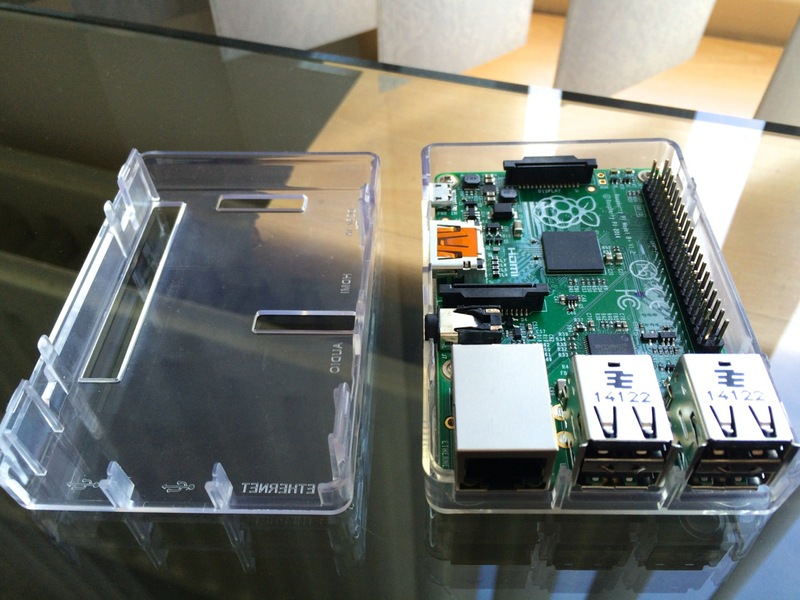 It comes with screws that fit the Pi’s mounting holes to attach it to the bottom part of the case, and four non-slip adhesive clear rubber feet. 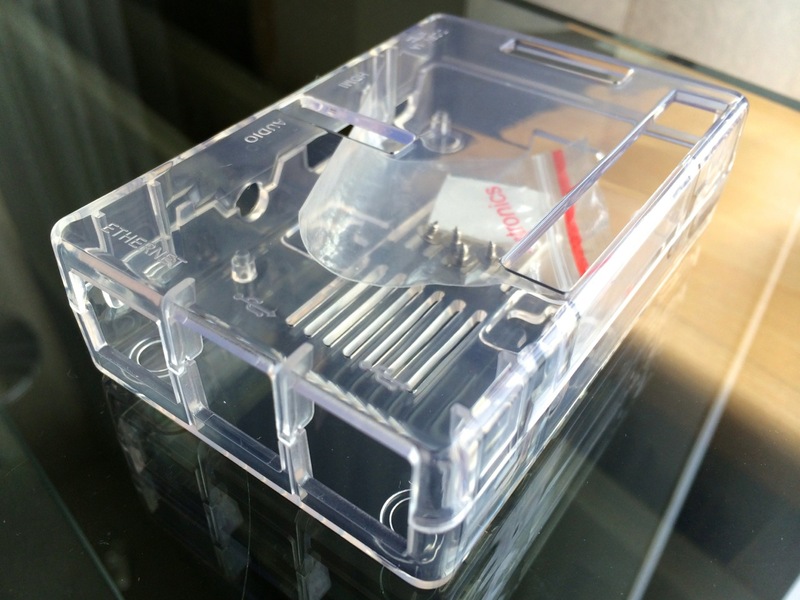 The clear plastic (ABS) case consists of two parts that snap together. The snap-fit feels sturdy and secure, and requires pinching the sides of the top to take the case apart. It’s so much easier to quickly take the top off and get to the ports compared to cases with screws. There are cutouts for all of the connectors on the sides, the GPIO port, camera and display connectors on top, and the microSD slot on the bottom. I only have one minor issue, which may just be specific to my situation. 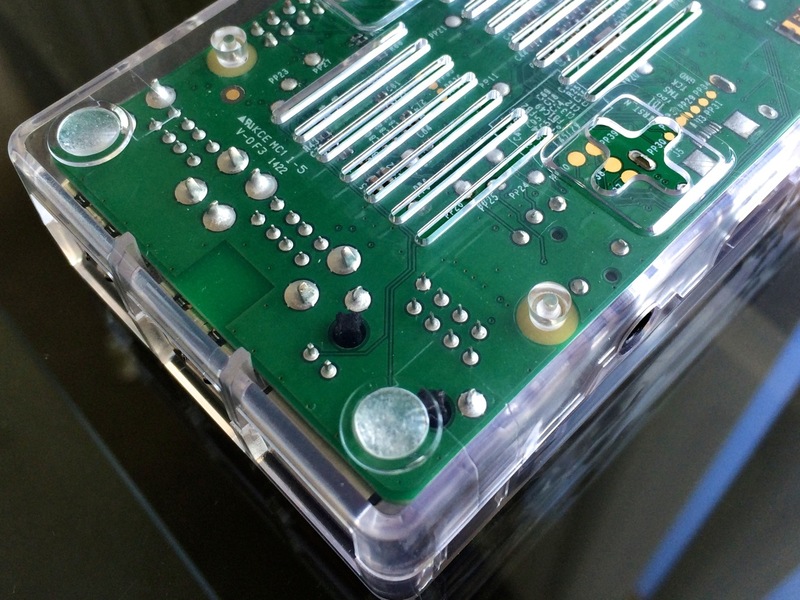 The GPIO cutout is located on the top of the case, while my GPIO breakout cable is designed to come out of the side. I could fold the ribbon upwards and make it fit, but I would rather not risk damaging the cable. Instead I’ll just get some (extra tall) stackable headers. Not necessarily the case’s fault, but a slight inconvenience nonetheless. Update: I added stackable headers to the GPIO port to fix my cable issue. Check out this blog post for pictures and details.